Members of the Capital Region Airport Commission, appointed by the four participating jurisdictions of the counties of Chesterfield, Hanover, Henrico, and the city of Richmond, unanimously supported a resolution at the body’s recent monthly meeting to waive the $0.06 per gallon fuel flowage fee for general aviation aircraft using fixed base operators (FBOs) at Richmond International Airport (RIC) during the September NASCAR week at Richmond Raceway. The fuel flowage fee waiver is in effect for the period beginning 12:01 a.m. September 17, 2018, to 11:59 p.m. September 24, 2018. 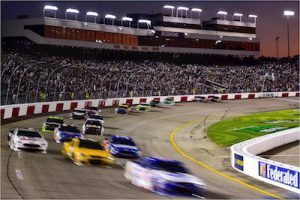 This is the sixth year that RIC has waived fuel flowage fees for race weeks at Richmond Raceway. Richmond International Airport (RIC) is one of the most modern and well-equipped airports in the eastern United States. Scheduled service from RIC offers nonstop flights to major domestic destinations and connecting options to points around the globe. Annually, RIC welcomes more than 3.8 million passengers. The activities of RIC and its tenants are responsible for nearly 16,000 jobs and annual economic activity of about $2.1 billion. For more information, please visit flyrichmond.com.